Perhaps no other Metro Manila thoroughfare is more iconic and picturesque than Roxas Boulevard. Also known as Radial Road 1 that connects the City of Manila with Pasay and Paranaque, this promenade runs along the shores of Manila Bay, boasting famed sunsets and stretch of coconut trees. It is not surprising that the street has been one of the Philippine capital’s most renowned, despite having been renamed several times throughout the 20th century. Roxas Boulevard has also been home to some of the Philippines’ most famous edifices: the Bangko Sentral ng Pilipinas and the Embassy of the United States, among others, and just recently The Admiral Baysuites, one of Anchor Land Holdings’ grandest projects to date. 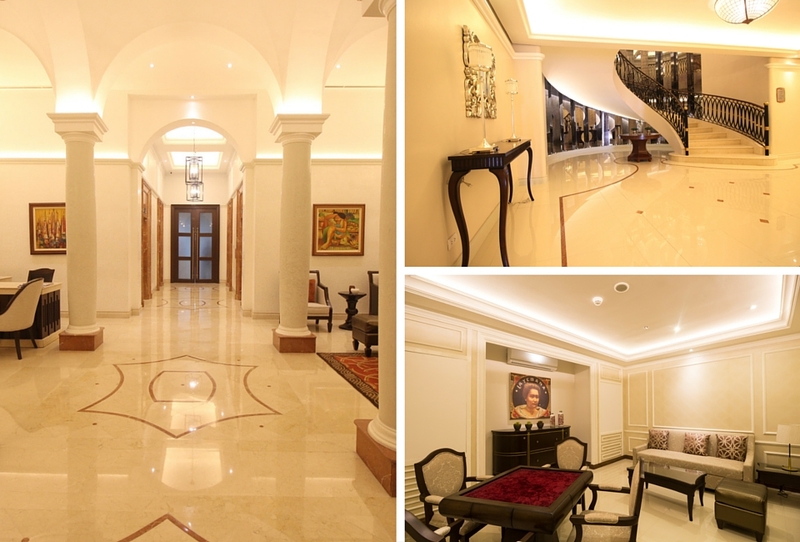 (Clockwise) Admiral Baysuites’ grand lobby and entrance area, grand staircase, and poker room. This project, considered a rebirth of the Admiral Hotel, is both a European-inspired luxury boutique hotel and a 53-story luxury residential condominium. The hotel, once it opens in 2016, will be managed by Accor, one of the world’s leading hotel operators. It will be the first five-star boutique hotel in the country and the first hotel in the Philippines to be part of the prestigious MGallery Collection. By celebrating its storied history, rich heritage, premium location by the striking Manila Bay, and rare white glove service, the Admiral Hotel promises a bold perspective on luxury, and a unique atmosphere that cannot be experienced anywhere else in the world. Admiral Baysuites’ residential building, which is now ready for occupancy, is laid out to feature two separate wings. The West Wing offers spacious residential suites of three to five bedrooms in flat or bi-level. Hailed as the perfect next acquisition after a house and lot in Forbes Park, these luxurious units include the Premiere and Director Suites that come with their own private pools. The East Wing, on the other hand, offers more practical, one- and two-bedroom residential suites. All of the units are laid out to maximize space and are fully furnished with carefully chosen fixtures. Aside from the fantastic size, layout, and furnishings of the units, owners in the 53-story residential suites may avail themselves of all the offerings of the hotel, including concierge, security, and housekeeping services. Add to these the fact that both the residential suites and the boutique hotel’s rooms offer unobstructed view of the Manila Bay sunset. Conceptualized to become “an exclusive club in a condo,” the premiere club amenities of the property complete the grand experience.